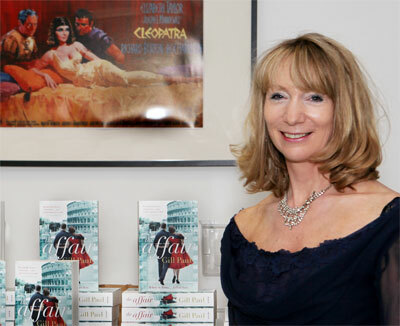 Gill Paul is an author of historical fiction, whose novels include Women and Children First and The Affair. Gill has written several non-fiction books, including Titanic Love Stories, about the honeymoon couples aboard the doomed ship, and Civil War Love Stories, based on letters couples wrote to each other during the American Civil War. Gill has written film treatments, newspaper features about relationships and history, and TV tie-ins. Gill has also edited Griff Rhys Jones, John Suchet, John Julius Norwich, Ray Mears and Eartha Kitt, among others, and ghostwritten for many more. I’m in awe of Barbara Kingsolver. The Poisonwood Bible first inspired me to try writing stories from the points of view of different characters, but she is the master. I love the way that book takes you from comedy through to an enveloping claustrophobic darkness and horror. All her books are enormously moving. The moment when the baby is thrust into Taylor Greer’s car in The Bean Trees makes me cry every time I re-read it. So does the depiction of Alzheimer’s in Animal Dreams. The language is lush and beautiful, and the stories move along at a cracking pace but they are ultimately character-driven – and such unforgettable characters. Love her! I’m a bit of a traveller so there have been many, but the six weeks I spent in Australia are vividly etched in memory. There was the snorkelling on the Barrier Reef, where my fluorescent green bikini attracted the attention of an ugly big grouper fish who followed me wherever I went. Nice to find yourself sexually attractive to a fish! Seeing Midnight Oil in concert was incredible. I loved the way Peter Garrett moved on stage and found myself in total sympathy with his politics. I got chased by an emu in a wildlife park near Melbourne, much to the amusement of my friends, who took photos rather than trying to help me. And I loved swimming in the wild surf of your beaches – even when I got dumped unceremoniously by a big wave and lost my bikini pants at Sydney’s Tamarama beach. I give talks to school-age wannabe writers and have ten tips for them, but I’ll give you the five best: write something every day; become an expert in something apart from books (astrophysics, geology, birdwatching – whatever floats your boat); find readers you trust who will comment on your work but use them sparingly, not too early in the process, and learn to trust your own judgment most; try to stop your friends putting drunk pictures of you on Facebook; and always be curious about life. Every year we have a summer holiday for the extended family, including everyone from my old dad who’s in his late eighties down to the youngest niece who’s now eight. My favourite moment of the day is around six o’clock when the sun starts to fade and the grown-ups sit at the pool or beach bar with a glass of local cocktail in hand watching the young ones going a bit crazy as they burn off the last of their energy. I love the way young children have a ‘mad hour’ before bedtime when they get hyper. Birds do it too – they get noisier just before the light fades. And on holiday, where there are lots of other children to play with, you can relax and enjoy their sheer exuberance from an altogether mellower place. What was the best thing about writing The Affair? Going to Rome to research it, without a doubt. Writing is hard work but wandering round a glamorous foreign city with a camera and notebook – what’s not to like? I fingered Cleopatra’s gorgeous gold dress in the museum at Cinecittà film studios, sat in cafés on the Via Veneto watching the Italian dowagers in full jewellery at midday, and visited nightclubs and trattorias that have hardly changed over the last fifty years. It was a glorious trip. One more great thing about writing The Affair was falling in love with Elizabeth Taylor. My mother was always a huge fan but I didn’t know much about her and once I began the research I was staggered to realise how modern she was for her era: best friend to several homosexual men at a time when homosexuality was still illegal; willing to follow her heart and have affairs despite the punishment she took from the media; and always so incredibly witty! Read any interview with her and there will be a quick, hilarious retort in there. Right up to the end of her life she always kept her sense of humour – as mourners were reminded when she arranged to turn up fifteen minutes late for her own funeral so as not to break the habit of a lifetime! She was amazing. Want to know more about The Affair? 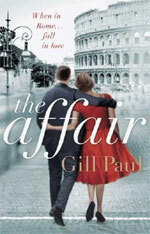 The Affair is published by HarperCollins Australia and is available now. Information provided by HarperCollins Australia.